If you're fed up with the annual beach holiday with occasional banana boat ride thrown in, and you're longing to do something a little bit more exciting, the lure of a sporting holiday or activity holiday can be hard to resist. It's always good to be able to say that you did something worthwhile on your holidays. When you're thinking ahead, you need to decide which sort of activity you want to take part in, and decide whether you want a winter sports or other type of holiday. Skiing and snowboarding are really popular and depending on how far afield you want to go, can be organised at most times of the year. According to research, the top ten most popular activities people like to get involved in on holiday include rock-climbing, parasailing, white-water rafting and bungee jumping. It's vitally important to make sure that whatever you decide to do on your activity holiday, your insurance policy covers it. Most general policies don't cover activities like dog sledding, parapenting (hang-gliding on skis) or tobogganing for example. If you intend to do anything like this, it's worth taking out a specific policy that will give you peace of mind. The medical costs involved with holiday injuries can be horrendous - imagine having to fork out £35,000 for an ambulance (America) for example. You need to decide on which specific activities you need to be insured for, and the level of cover you think you are going to need. What Should I Consider if I want to Go on a Water Sports Holiday? When you are on your water sporting holiday, make sure you consult the tour guides and instructors about safe places to swim and surf, plus the local tides. They will be able to tell you about any contaminated or dangerous waters, and if it's safe to dive into what may look like deep water. 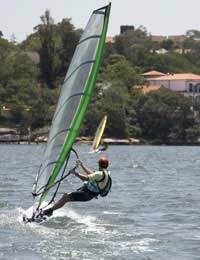 Make sure that any water sports equipment you hire is from a reputable agent, and that it has been checked for safety. Make sure you wear all the appropriate safety equipment like life jackets for any offshore water sports. Check your insurance policy and make sure you don't go below the maximum diving depth you're covered for. It's obvious - but can you swim? Winter Activity Holidays - What are The Essentials? It's easy to get a winter sports specific travel insurance policy, so make sure this is arranged before you leave. Check the exclusions - some don't cover off-piste skiing, some have restrictions on the altitude. If your holiday is in Europe, take the European Health Insurance Card (EHIC) which is free from any post office. It will give you reduced cost or free healthcare in most European countries - although check the country you're visiting before you go as some smaller countries, such as Andorra (a popular skiing destination) aren't covered. Make sure you use good quality equipment, from a reputable hire firm, if you're not taking your own. There are some advantages to hiring the equipment at your destination - not least the fact that you won't have to drag extra luggage on the flight with you! Some skis are better suited to beginners than experts, and a reputable ski hire shop will be able to advise you on what's best for you. Activities like rock climbing, go-karting and bungee jumping are getting to be popular with holidaymakers who think 'why not' when they are feeling brave on holiday! Think carefully before you do anything because you might not be covered by your travel insurance. If that's the case, don't even think about it, it's just not worth the risk. If you need to take equipment with you, make sure you are able to take it on the plane with you, and that there are no extra charges. If you have any pre-existing medical conditions or injuries make sure you alert the instructor. Holidays are the ideal time to try new things, and the temptation to throw caution to the wind and do something you've always fancied can be overwhelming. Just be careful - and make sure that you're covered for all eventualities!